The LaGG-3-23 is a gift rank I Russian fighter with a battle rating of 2.3 (AB/RB/SB). It was introduced into the game sometime prior to Update 1.27. 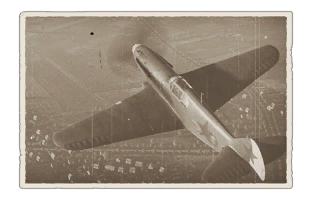 The LaGG-3-23 is one of the rarer vehicles in the game and in War Thunder's history, the LaGG-3-23 had only been given out four times. 700 350 ??? ~?? ~?